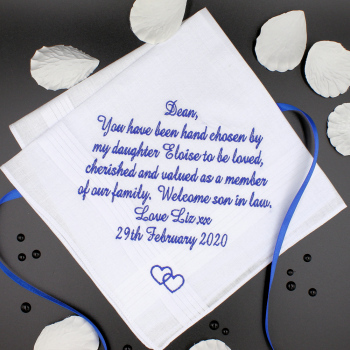 Personalised mens white cotton handkerchief embroidered with a longer message, phrases or poem, a perfect special gift for weddings, anniversaries or birthdays. 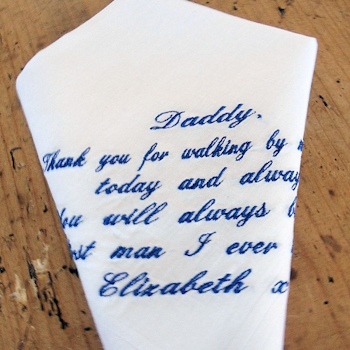 The text will be custom embroidered onto a handkerchief style of your choice. Please type in your poem or message, email us if you have questions. Please select a font style and embroidery thread colour you want. Optional little motif that can be added too.